Circuit: 40KHz Voltage to Frequency Converter __ Circuit designed by David A. Johnson, P.E. 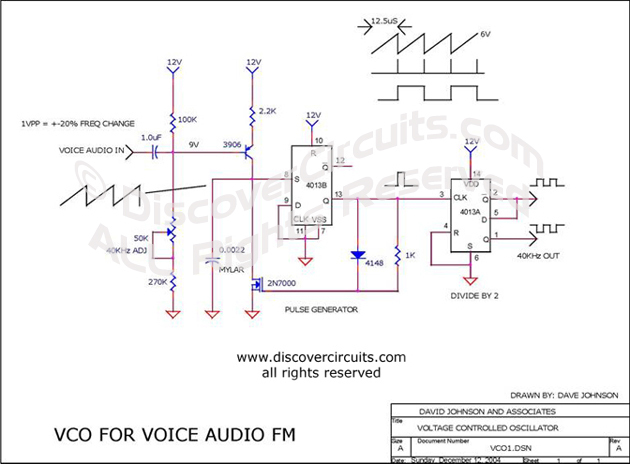 This circuit was designed to frequency modulate a 40KHz carrier, using human voice frequencies. A common flip/flop is used at the core of the circuit.